This was one of our lunch menu today. 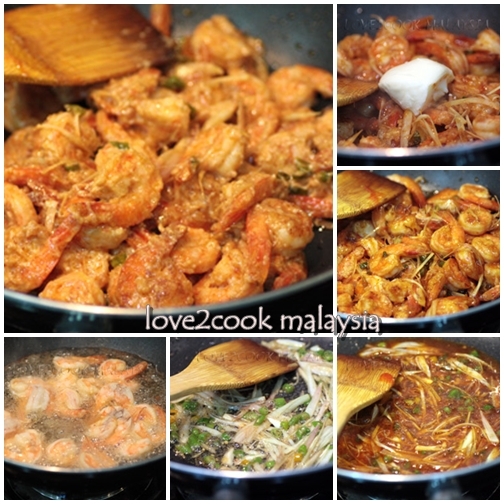 I've actually quit eating prawn but still cook it for my dear family who really love seafood unlike me. I don't really fancy seafoods except for fried fishes. My Hubby and son can eat prawn and crab anytime. For me, the gravy alone is enough. Here's another prawn dish from my kitchen. My son enjoys it, though it's little spicy due to addition of bird's eye chilli. In a bowl, mix together ingredients (A) and let to marinade for 15 minutes. 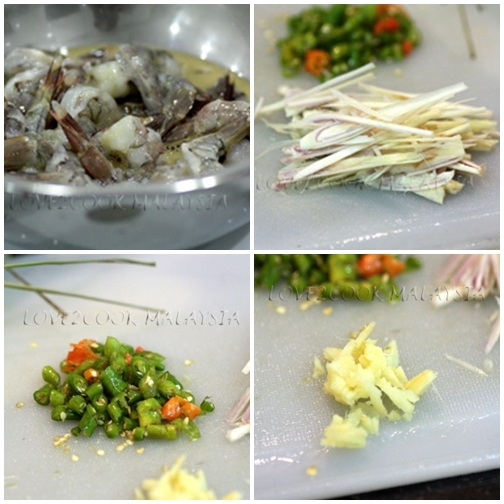 Fry the marinated prawn in oil until golden. Drain on a separate plate. Reduce oil, stir fry ginger and lemongrass until fragrant. Add bird's eye chilli and mix. Add chilli sauce and sweet soy sauce, stir. Add water and salt, let the gravy boil. 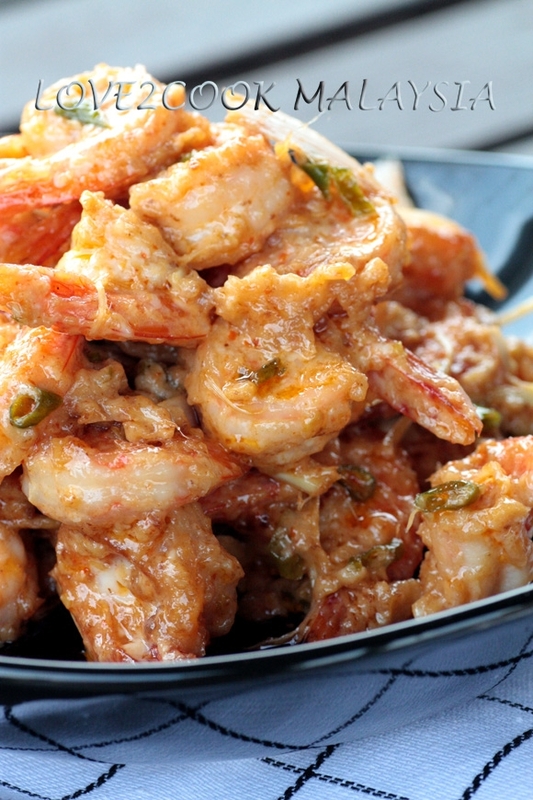 Mix in the fried prawns. Happy Weekend and Take Care!!! 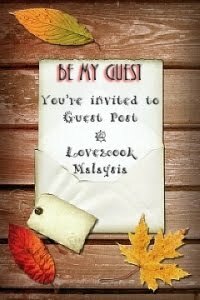 Psst...Are you in Malaysia? Don't forget to join my 2nd Blogoversary Giveaway HERE!!! Goodness! I'm feeling hungry already, it's only 6.02pm! Looks so, so delicious! Finger licking good, for sure! 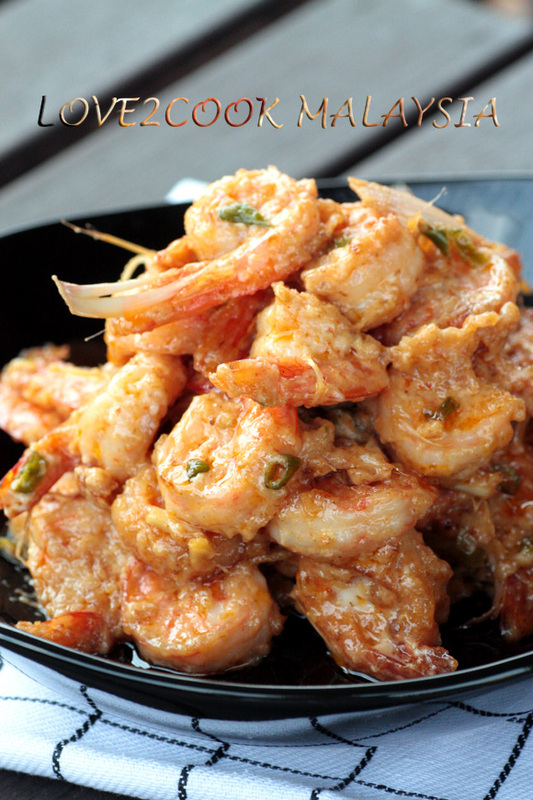 We love prawns! Yum...! 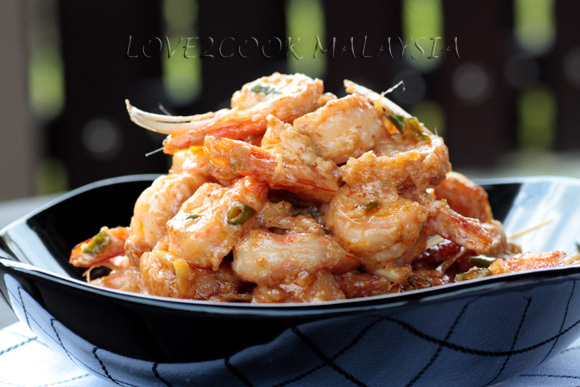 Hello Love...emmm tempting sgt la ida dgn udang you ni...looked so yummy!! Hai love.Sedapnya udang.Akak dah buat fabulous banan kek tu tadi.Now tengah ngap..ngap dengan famili sambil mengadap lapy ni.memang sedap.Thanks for sharing ya. mamma mia che buono!! complimenti!!!ciao! 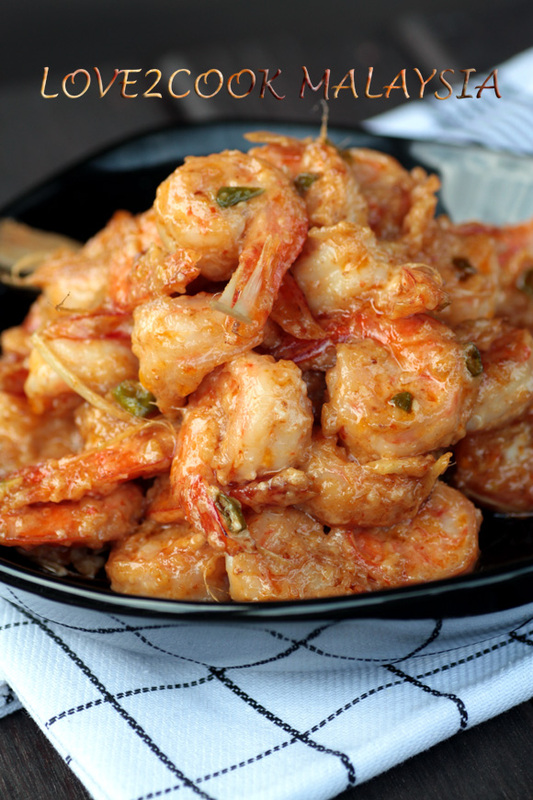 my mouth waters just looking at those fat prawns.. pity me, i'm allergic to crustaceans *sigh..
sangat menawan hati.. rasa nak ngap ngap je udang tuuu..
hi lovr...your prawn look delish...would like to try one of tjese day...haha. Tq for sharing dear. ho..ho..sungguh sedap laa.. tak tahan tengok..
looks so creamy and mouthwateringly delicious..
wow..yummy prawns in mayonnaise..love to try that! glad to follow you as well.. 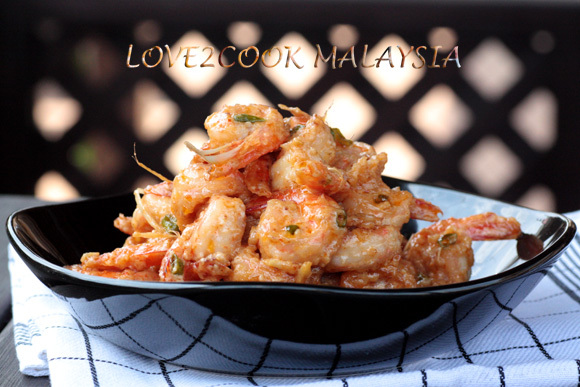 Highly irresistible,tempting and droolworthy prawns..
shrimp is my favt...tasty one..
looks amazing. can't wait to try this. look so tempting.. love, is it ok if we use squid instead of prawn? I'll let you know when I make this and gets it posted. It was AWESOME!!! I just loved it.. It feels so good to read a wonderful comment early in the morning..and I must thank you coz you made up my day! wow.. this is really awesome! I made these prawns and they were absolutely delicious. I halved it but forgot to half the mayo and it sort of got.. overdressed.